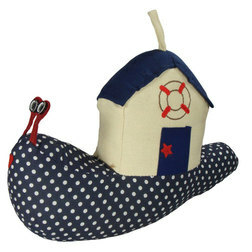 A fun and quirky snail door stop with a nautical themed beachut designed shell complete with door and embroidered life ring motif. 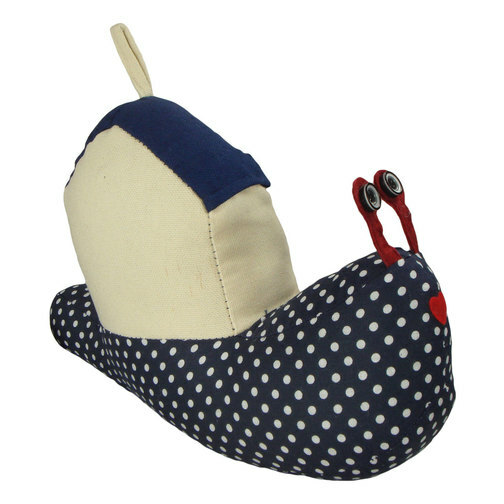 The blue and white polkadot snail cute button eyes too! This weighted snail door stop is the ideal addition to any nautically themed rooms at home or indeed a useful add on board your boat too. This animal door stop is great for kids, and could get their imagination running wild! It would be great to hear what name you end up giving your snail too! Also a perfect house warming gift - who wouldn't take one look at this and said "awww, thats cute"!